But what happened on that faithful night on August 19 of 1953 set in motion a cascade of events that even the most perceptive and shrewd of men such as Kermit Roosevelt couldn’t have predicted. The aftermath of the C.I.A. sponsored military coup against Mohammed Mossadegh laid the groundwork for an Iran hostile to the west, the spread of Islamic extremism, and ultimately the reconfiguration of the Middle East as we know it today. The rise of Mohammed Mossadegh starts with his background as the first Iranian to win a doctorate in law from a European University. Western educated, his idealism on democracy and human rights was a breathe of fresh air to a country suffocated by foreign oppression. His election to Prime Minister in 1951 was met with great fanfare from Iranians who saw Mossadegh as the leader who could restore pride and independence to a budding Iranian economy and society. In January of 1952, Time named him man of the year, beating out British Prime Minister Winston Churchill. But not everyone was so gleeful about Iran’s new found confidence in the face of international imperialism. Mossadegh found a natural enemy in the United Kingdom, where a policy of colonization and oppression was still alive and well. The Anglo-Iranian oil company, later known as British Petroleum (BP), was a primarily British government owned oil company which extracted, refined and sold Iranian oil, settling a contract with the previous corrupt monarch of Iran in 1901 to pay Iran a measly 16% (often less) of the revenue generated from Iran’s natural resources. 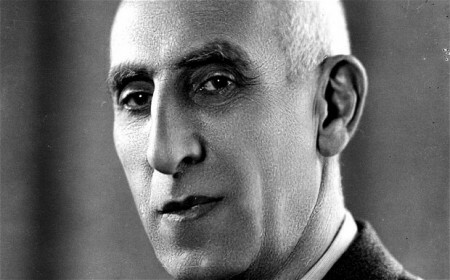 Mossadegh’s passion for democracy and independence launched him to the forefront of Iranian politics, and, when in 1951 was elected as Prime Minister, he vowed to restore Iranian sovereignty and to expel oppressive foreign influence from the country, starting with Britain and the Anglo-Iranian Oil Company. Mossadegh was hailed a hero, and his often moving and emotional speeches, which often culminated in tears and sometimes even fainting, drove Iranians into a craze of fervent nationalism and disillusion with Iran’s current state of affairs. The Iranian Parliament’s decision under the watchful hand of Mossadegh to nationalize the oil industry did include compensation for the wells and refineries the Anglo-Iranian company built, including a deal to settle the debt owed to Iran under such unfair contractual agreements. What followed was a calculated and complex plot to overthrow Mossadegh, and in the meantime drag in a bulwark ally whom, at the time, was concerned with much more pressing issues than the self determination of an Iranian leader at the expense of British interests. The battle against Communism and the Cold War were in the first years of their frenzy and American officials were strategically carving up the world into ideological cookie cutters, calculating plans of covert operations around the globe to underscore the Soviet Union’s attempts at global hegemony. Head of this effort was then C.I.A. director and notoriously ruthless figure Allen Dulles, a privileged son of a powerful lawyer with connections to diplomats all over the world, Dulles was a ‘take no prisoners’ type of C.I.A. director. A stubbornly stoic man, Allen Dulles took the Cold War very seriously, organizing and directing coups of various governments in the 1950’s, including Guatemala in 1954. Stunned, British officials were left to their own vices to stop Mossadegh from seizing control of the lucrative deal they had sealed prior to his arrival on the scene 50 years earlier. Plots to assassinate, bribe, or even militarily invade Iran were on the drawing board and might have actually happened, had Truman and U.S. officials halted the advance, warning Britain against such international follies. It wasn’t until Truman left office and Dwight Eisenhower became President in 1953, that the British found an ally in their corner. While President Eisenhower wasn’t a red scare hawk like then head of the C.I.A. Allen Dulles, he was a conservative who feared liberalism was the path towards communist appeasement. Britain’s manipulation of Eisenhower’s fears proved worthwhile- Mossadegh’s tolerance of the Iranian Communist party “Tudeh” proved to be enough for Eisenhower to green light an operation with C.I.A. support. With Allen Dulles at the wheel and Kermit Roosevelt on the ground, a plan was set in motion to once and for all rid Iran of their admired leader. To do so though, they had to get support from within Iran’s government, fellow sympathizers who had been affected by Mossadegh’s love for democracy and social justice. And that man, was Shah Mohammad Reza Pahlavi. As Shah of Iran, Mohammed Reza Pahlavi’s hereditary and aristrocratic claims to power were challenged by the unabashed democrat Mossadegh. Mossadegh declared that such unelected leaders were unnecessary and only promoted corruption and extortion of the public good. The C.I.A. later admitted to their involvement in the Iranian coup. Sharing a common interest, that being the diminishing of Mossadegh’s power and the continued backing from western powers, the Shah agreed to follow suit with the MI6 and C.I.A. plan to depose Mossadegh. Fearing for his safety, the Shah’s only request was that he be airlifted for the duration of the coup to an undisclosed location, and would be returned to claim his throne as Iran’s leader following confirmation of Mossadegh’s removal. With all the players in place, the fall of Mossadegh was a well coordinated but ultimately messy chain of events. The C.I.A. and MI6 paid off mobs to pose as Iran’s Communist Tudeh party supporters and run through the streets of Iran looting and desecrating businesses and homes while chanting “Long Live Mossadegh! Long Live Persia!” The desired results played out just as conceived- riots and demonstrators, thugs and common criminals joined the crowd, cashing in on the political vacuum. The military paid off by Roosevelt and his comrades failed to intervene, allowing the mobs to run wild in the streets as they pleased. Mossadegh learned of the events while at his residential home on the outskirts of Tehran. Officials and advisers urged him to call for the police to put down the crowd by any means necessary. One option, suggested by the leader of the real Tudeh party, was to arm his party members with weapons to battle back the Tudeh party impersonators. The deal was met with the stubborn desire for democratic values Mossadegh was so commonly praised for, saying he would rather give his right arm before he armed a political party, no matter what the cost of doing nothing was. Factions battled in the streets for days. 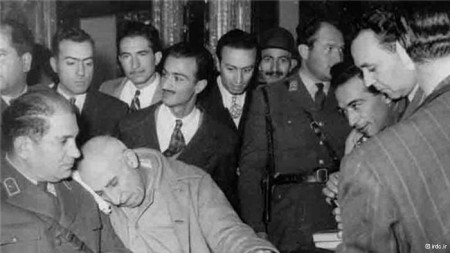 Mossadegh supporters tried organizing to deflect the growing anti-Mossadegh sentiment, only once again have to watch disappointingly as Mossadegh acted with prudence, calling for his supporters to stand down. After almost a week of violence and demonstrations ripped through the streets of Tehran, thousands of paid off thugs stormed the residence of Mossadegh. Met with gunfire from inside, the unruly mob was held back temporarily. Then, following direct orders from a C.I.A. 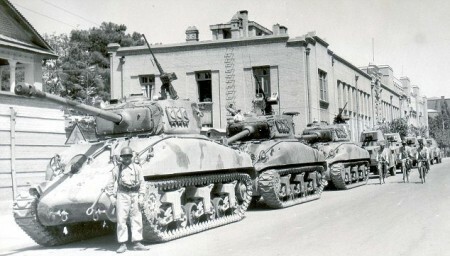 bankrolled military commander, tanks rolled onto the property of Mossadegh, making way for thugs to seize Mossadegh, and bring an end to the story of Iranian democracy. The Shah, hiding out in his undisclosed location, came out of hiding to claim his peacock throne as leader of a new Iran, free from the influence of the democratic nationalist Mohammed Mossadegh. His reign lasted for almost 30 years, with Anglo-Iranian Oil and Britain making billions in profits, and western powers profiting off of sweetheart deals from the Persian gulf state. Mossadegh was placed under house arrest until his death 14 years later in 1967. Before his death, reports of his isolation and broken heart only adds to the tragic tale of the last Iranian President. The Shah’s eventual removal of power in 1979 sparked a wholesale revolution in Iran, one which can find its roots in the anger and disgust most Iranians felt when learning of the true details of the fall of Mossadegh. 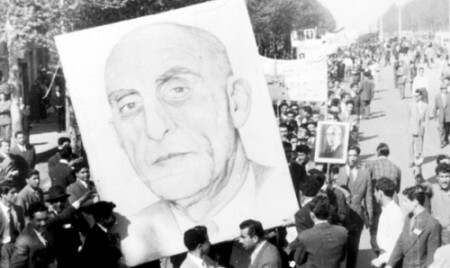 Mossadegh’s legacy still lives on today, in demonstrations and protests around the country. His face is adorned on posters, and his memory is indelibly imprinted in the minds of those who knew and respected him for his courageous stance in the face of powerful interests and adversity. The story of the last Iranian President and the coup that changed the world is one we in the west should keep in mind when dealing with a government in Tehran that knows all too well the plight of Mohammed Mossadegh.